The Meissen Porcelain Gallery features a small sample of Meissen wares. 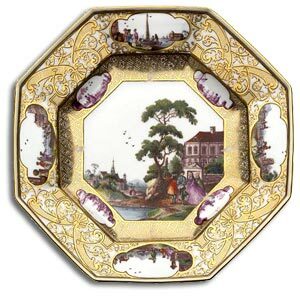 A sample of Meissen porcelain that demonstrates the quality of antique Meissen Porcelain production and decoration. The know how, experience and passion for the white gold known as porcelain has defined the character of Meissen’s porcelain production over the past centuries and still does today. 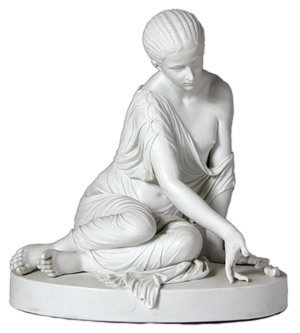 Antique porcelain is well known for its superb quality but today the productions issued by Meissen Porcelain still match the antique, both in design and quality of decoration. For those of us who can, investing in the best piece of Meissen you can afford would be a very wise investment. The central image is derived from a series of engravings by Melchoir Kusel for Verschieden ansichte in Italien, Carnthen und Friul published by Johann Wilhelm Bauer in Augsburg in 1679. The waste bowl of the service is dated 1740. Thought to have been purchased in Paris by William Henry Miller c1840, from a member of the Orleans family. The service was recognised when sixty-two pieces from the Estate of Samuel Christie-Miller were sold by Sotheby’s in 1970. The plate has been in the Biddulph family since the time of the 1st Baron Biddulph (1834-1923). 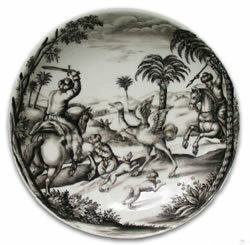 Depicting an ostrich hunt scene. The scene derives from J. van der Straet (known as Stradanus), who produced a series of designs of hunting subjects for a tapestry series of around 1568 for Cosimo de Medici. The prints were re-issued by Antonio Tempesta. 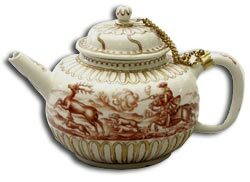 An extremely rare Meissen Bottger Hausmalerei teapot and cover. Depicting three men and hounds in pursuit of a stag. With gilded fluted moulding round the cover rim and foot. Porcelain dates to c1720 and decoration slightly later. Sale 13-15 May 1918. Lot 662 as Du Paquier. Painted in Kakiemon colours. A rare example of the earliest Meissen attempts at Kakiemon. It is rare to find Bottger porcelain and the experimental nature of this bowl is evident in the warping of the form. Meissen Marks: Over-glaze crossed swords mark and painters mark ’50’ in iron-red. Meissen Marks: Blue crossed swords and star. 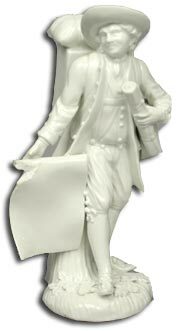 Modelled as the map seller by JJ Kaendler after a drawing by Bouchardon. Meissen Marks: Underglazed crossed swords.